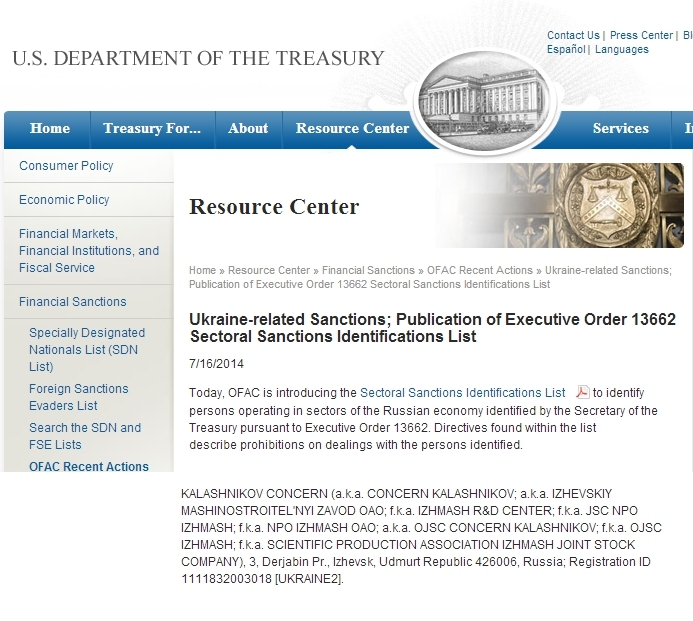 The Treasury Department’s OFAC publishes a list of individuals and companies owned or controlled by, or acting for or on behalf of, countries targeted for sanctions. It also lists individuals, groups, and entities, such as terrorists and narcotics traffickers designated under programs that are not country-specific. Collectively, these entities are called “Specially Designated Nationals” or “SDNs.” Their assets are blocked and U.S. persons are generally prohibited from dealing with them. If I own a Kalashnikov product, is that product blocked by sanctions? Am I able to resell a Kalashnikov product at a gun show or other secondary market? If I have Kalashnikov products in my inventory, can I sell them? A 2012 NYT article notes that “[a]bout 70 percent of the factory’s output is now civilian rifles, up from 50 percent two years ago. Of the civilian arms, about 40 percent are exported to the United States,” calling US exports “integral to the enterprise’s evolving business model,” making this a potentially devastating blow to the company as well as the domestic supply of such firearms – a point sure to drive prices upward. For the group “Kalashnikov”, which is part of the Rosteha, the United States is an important market for civilian weapons. It should be noted that the products of the Kalashnikov is in the United States in great demand, a pre-order for products for civil use is three times the annual throughput. 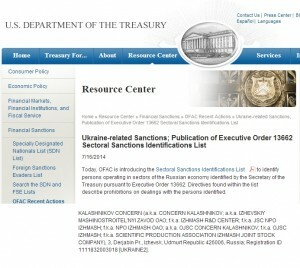 Thus, for Kalashnikov United States Government sanctions run counter to the interests of American consumers. Discuss the addition of Concern Kalashnikov to the SDN list on the GunLink Forums.